Though its usually very quiet on campus during Spring Break, this particular Spring Break Monday is special. The UIS Baseball team played its very first game (two games actually- a conference double header against Missouri S & T) on its own UIS home field! 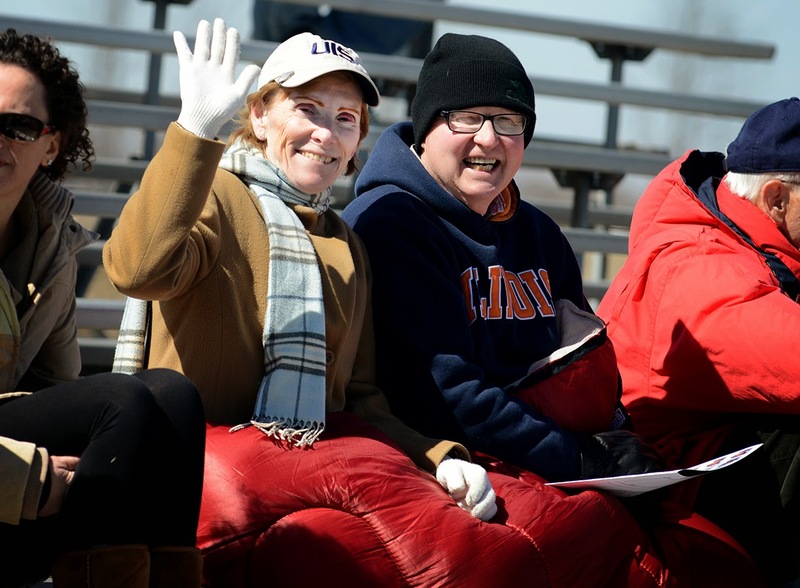 We'll have an official ribbon-cutting next week when the students are back on campus, but in the meantime it was great fun to bundle up and see this early Spring game - along with some hardy early Spring fans who were also there to support our team. There's nothing like an upset!